Transport operators Stagecoach and Virgin Group have teamed up with French high speed operator SNCF to bid for the UK's West Coast rail franchise. The companies have already worked together on the expression of interest stage of the bid, which was submitted on Monday, and they will now prepare for the ‘invitation to tender’ stage, which is expected to be issued by the end of the year. 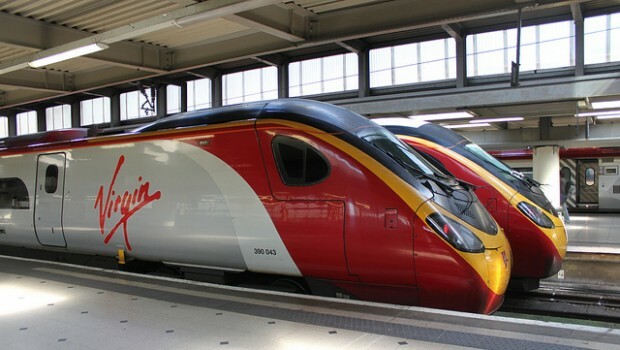 Stagecoach has a 50% stake in the joint venture, West Coast Partnership Limited, with SNCF holding 30% and the remaining 20% owned by Virgin, and following a successful bid services on the franchise will be under the Virgin brand. The West Coast franchise will run from 2019 and will include current west coast services as well as the first few years of operation of High Speed 2 railway services, currently being built. Stagecoach chief executive Martin Griffiths said: "The new franchise has an important role to play in delivering the improvements and space on our railway that can support our communities and economy. Together, we have a very strong track record of working effectively with other rail partners and infrastructure providers, as well as using cutting edge technology to achieve a step change in customer service." SNCF chairman and chief executive Guillaume Pepy said: "SNCF has a long-standing commitment to working in partnership with British companies, using their local knowledge and sharing our expertise and experience. "Today, we are delighted to announce this next step in our commitment to UK rail, working with partners who have demonstrated their own expertise in long distance rail services and are highly regarded in the industry."